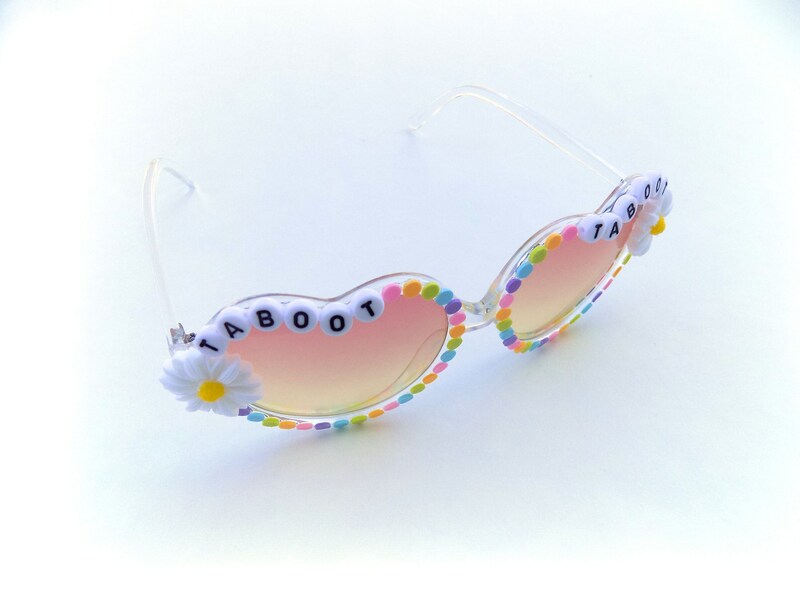 These heart-shaped glasses have been decorated with the words "Taboot Taboot" and a daisy on each side. 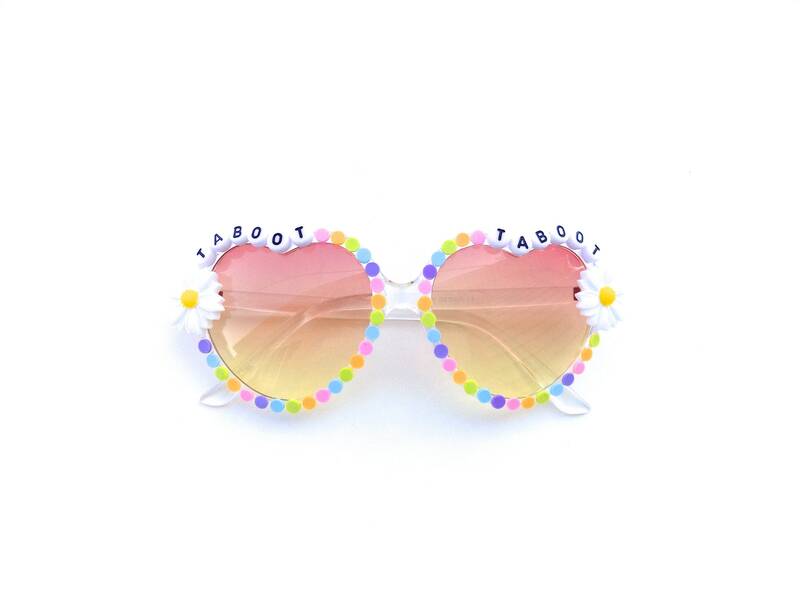 Rainbow colored dots encircle each lens. All decorations are fastened securely using industrial strength glue; built to last! 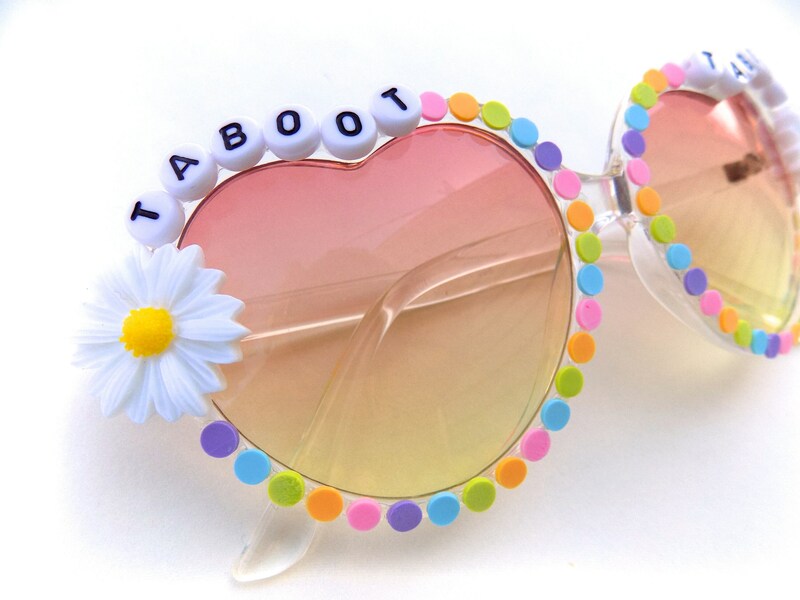 These light lenses are perfect for nighttime and indoors.